Ideal for business or vacation. Around, plenty of shops, bars, restaurants, museum, cinemas… and a very short walk to the covered market Victor Hugo for fabulous frenchies food supplies !! 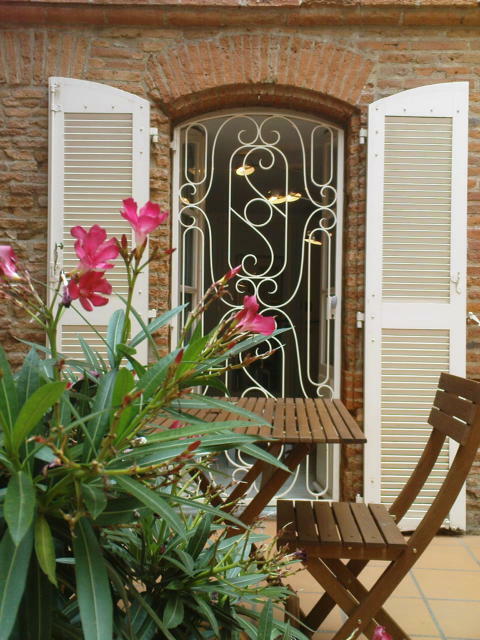 Located in « chartreuse » (courtyard) in an old typical building with private nice little outdoor space with garden furniture. Bed linen, towels, tea towels, cleaning products are provided. A main room with sofa bed (160x200), sleeping area closed by a curtain (140x190 bed), separate kitchen and bathroom (shower and toilet). Arrival every day - mini 2 nights - discount from 7 and 22 nights rates.